Attention all students in grades Kindergarten through 3rd! Join us on October 30th for a day of AWESOME at Papa’s Pumpkin Patch in Springbrook. There is no cost to attend! 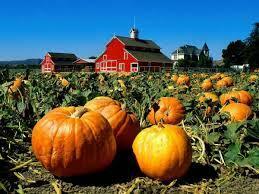 Students will have lunch, pick their own pumpkins to take home, go on a hayride, jump on the inflatables, and enjoy all the farm animals. There is no school on Oct. 30th due to staff professional development. The bus will leave Andrew at 11:30am and return at 3pm for pickup. Parents are welcome to join us as well! Registration forms were sent home today with all students, but can also be accessed here: http://5il.co/20l1. Please return them by Friday October 6th.